Fiji and New Zealand may possibly take a step closer to the semi-finals if they win their second Group B matches in the OFC Women’s Nations Cup tomorrow at Stade Numa Daly. Standing in their way is a determined Tongan team who went down to a heavy defeat in the group opener against defending champions New Zealand. A win tomorrow would ease up pressure on Fiji’s ambition of securing a semi-final spot. Fiji coach Marika Rodu said his team will give everything against Tonga with a spot in the last four is at stake. “I think we have one shot to qualify into the semi-final against Tonga, we will not take the game lightly, we would like to see that we make it into the semi-finals after Thursday’s game”, the former Suva coach said. “Tonga is a tough nut to crack they were more defensive on Monday but we don’t know what they will bring in terms of attack. Coming through the tournament as top team from the preliminary stage, Fiji started their Nations Cup campaign with a convincing 3-0 win over an experienced Cook Islands side on Monday. “They are enjoying the moment day-by-day I think they were elated after the win on Monday. “They are recreating history in terms of Fiji football, we want to be the first group of players who have qualify into the semi-final. “These are some of the things at stake for us and we want to make sure that people back home who are involved with women’s football get rewarded,” Rodu said of the Fiji women’s football team’s chance of creating history. Tonga coach Christian Koaneti is hopeful his team still have a chance of making it into latter stages of the competition. “We still have hopes for the second leg of the tournament with two matches left and the opening defeat is something for us to build on for the Fiji game,” he said. “We already played them in last year’s Pacific Mini Games so we expected Fiji to come on strong since they won the preliminary stage. Later in the day favourites New Zealand may perhaps book another appearance in the semi-finals when they take on Cook Islands. 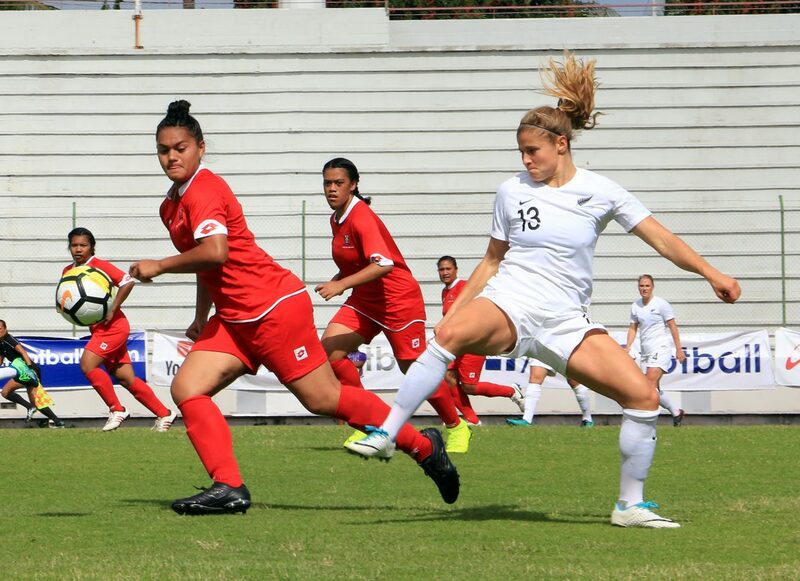 The Football Ferns displayed a professional performance against Tonga and they are aiming to continue that fine form in their coming matches. New Zealand coach Tom Sermanni said his side will approach the game in similar fashion to their big win over Tonga on the opening day. “We have to approach it the same way as we did in the first game. “We need to go be fully focused, be well prepared and know that we going to be in for a team that’s going to be fully committed for 90 minutes playing against us. “It’s not so much a big win, what’s important is to win games. “If we can win tomorrow that actually puts us in the semi-final and that takes the pressure off before the third game,” Sermanni said. Like Tonga, Cook Islands can still qualify for the next round with still two matches to be played. Cook Islands coach Tuka Tisam said New Zealand always presents a difficult task. “Ahead the game against New Zealand it is going to be really tough against they are a really strong team so it will be hard to get the three points”, he said. Tonga and Fiji have met six previous occasions with Tonga just edging their opponent with three wins to two, plus one draw. New Zealand and Cook Islands have met on three occasions, all in the OFC Women’s Nations Cup, and it hasn’t been particularly favourable for the Cook Islanders who have lost all three matches conceding 31 goals and scoring zero.